Hit by a Car! Taken to Shelter! Puppy had no Hope. Montana laid in a cold, steel kennel for ten days with a broken hip and no treatment or pain medications. He was listed with ACS as Spot and had a number. That’s really all we knew about him. They indicated he wasn’t walking but emphatically stated he did not have any major fractures. 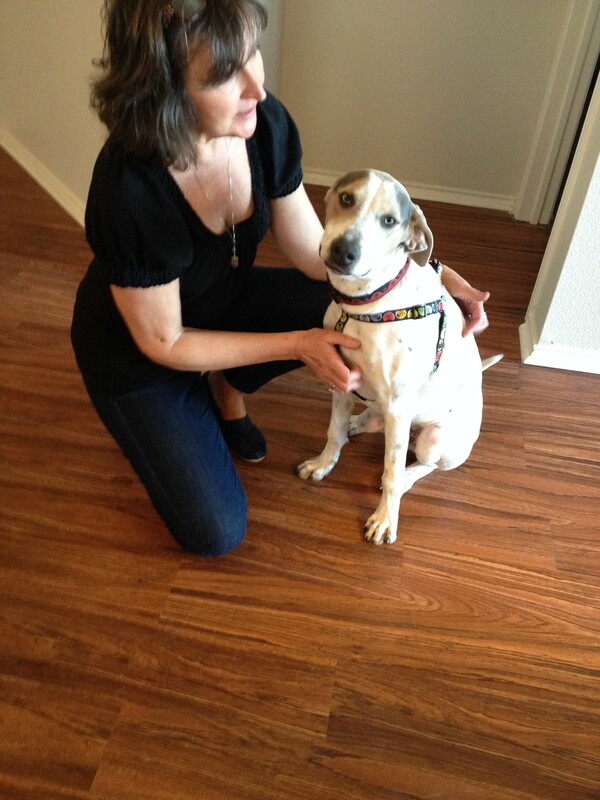 At the time, Texas Animal Guadians foster homes were full but we pulled him anyway. 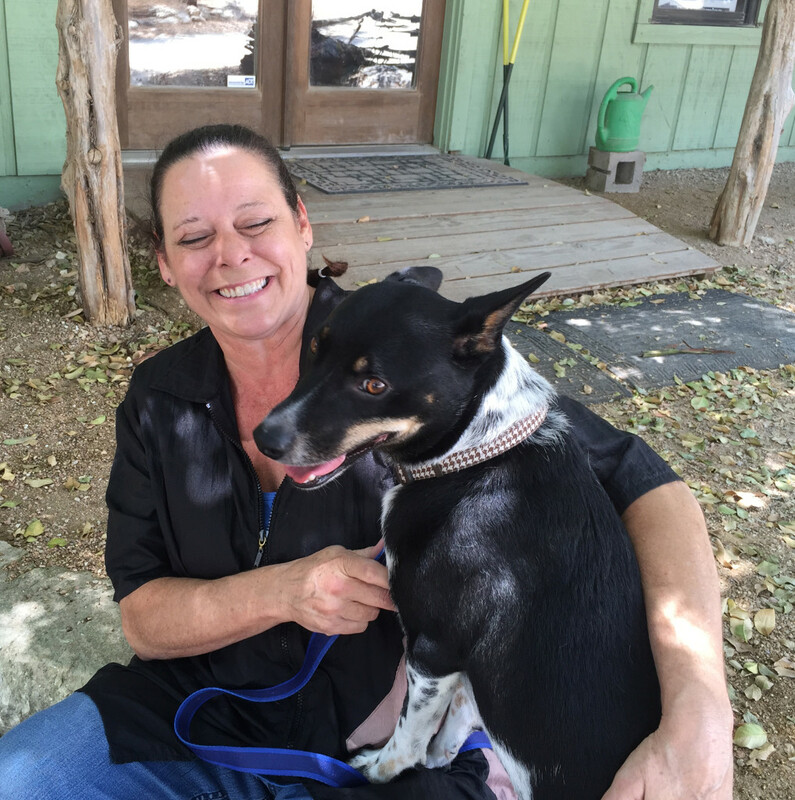 He was transported to our veterinarians at Canyon Animal Hospital where he immediately received pain management care, good food, some love and hope for a brighter future. Dr. Keith Leakey took one look at the x-rays and stated, “that’s a MAJOR fracture! Broken hip, fractured pelvis.” No wonder he wasn’t walking. His hip repair surgery was arranged for the next day. It was a long road to recovery but eventually Montana started playing like a pup and acting like a pup. There were setbacks, there were frustrations but this boy was a super dog throughout it all. And then one day, he met his person, a sweet lady in Austin, and he fell in love. They are now living a good life together and all the past has been put behind him. Nothing but bright skies ahead. 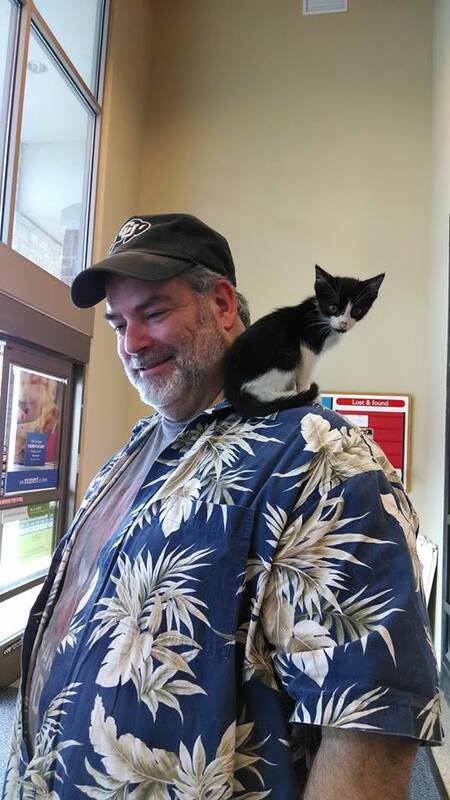 Owner Didn’t want injured Kitten! 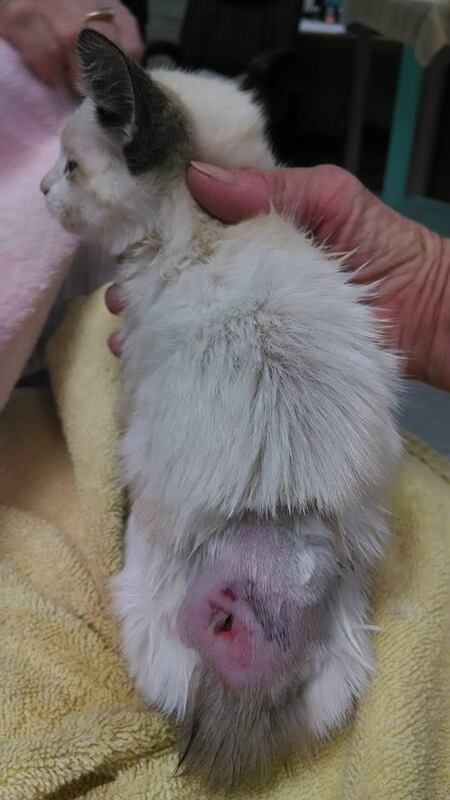 Badly Injured Kitten was dropped off at a Low Cost Spay/Neuter Clinic. Owner said they didn’t want her! 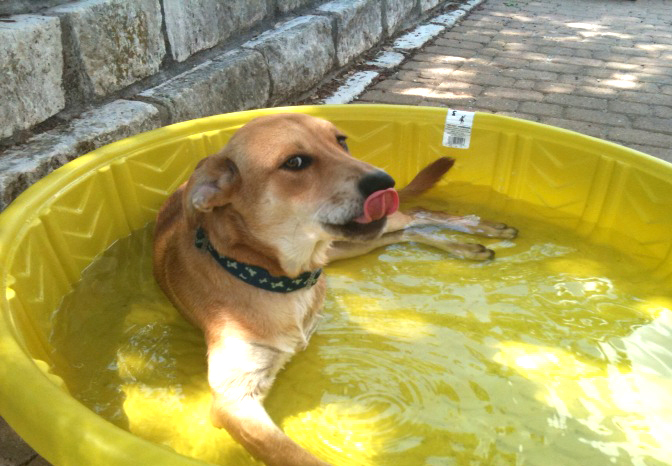 Hill Country Animal League in Boerne, Texas is a low cost spay/neuter clinic, not a shelter. 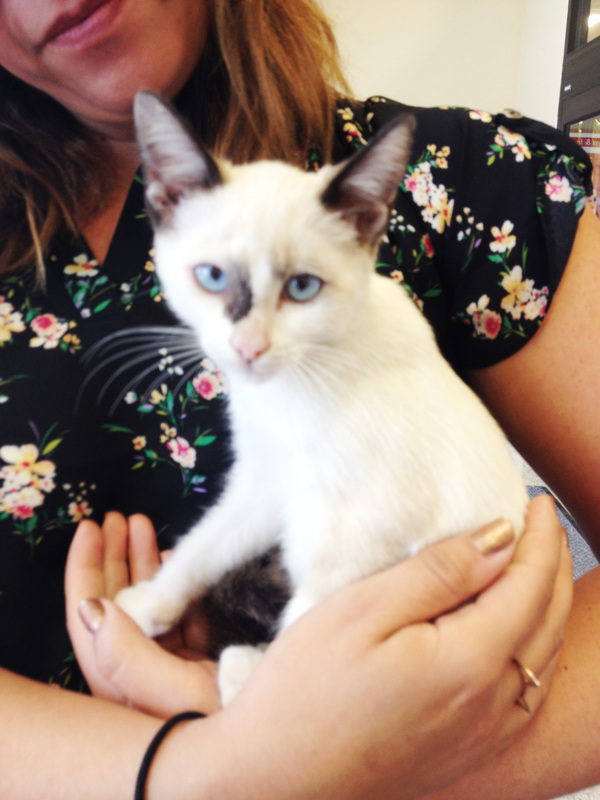 That didn’t stop a person from entering the clinic to drop off an unwanted kitten. 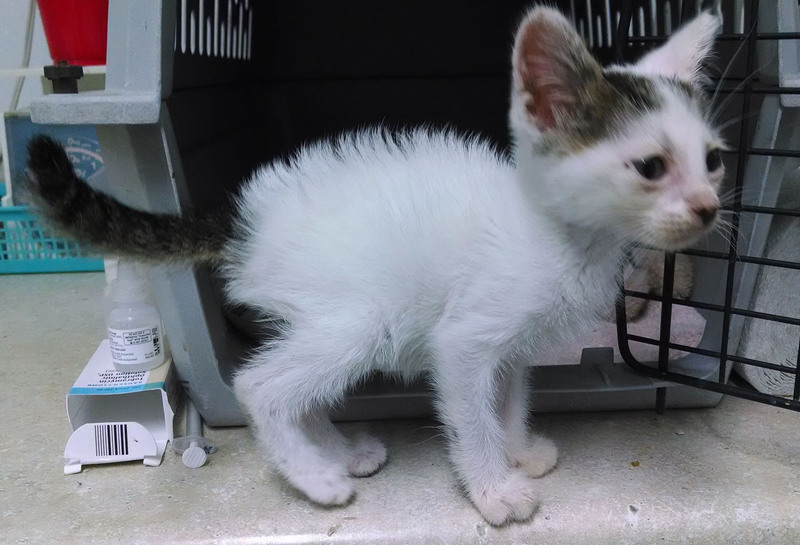 The kitten was suffering from multiple conditions, including dehydration and chronic starvation. The most alarming one was the horrible wound on her backside. Left untreated the wound became infected and abscessed. Despite all the pain, all the strange sights and sounds, the little kitten was calmly sweet. 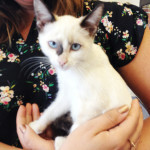 Thankfully Texas Animal Guardians Director, Penny Solis was there to accept the kitten. 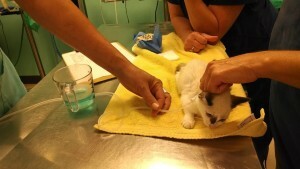 The HCAL team began immediately to treat her wound. After that, she was placed on IV fluids and given a high-calorie, high protein diet. 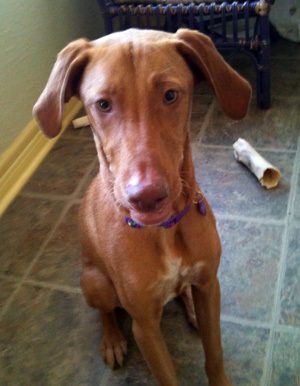 Texas Animal Guardians put out a notice on Facebook requesting our FB friends to name her. The winning choice was Sarabi. After that, she became known as Queen Sarabi and things started going uphill for the previously unwanted kitten. She has since been adopted into a wonderful home. Twiggy and her litter mates were living in an RV park off the kindness of people who are not much better off than they are. All were suffering from chronic upper respiratory infection and all had various forms of eye infections. 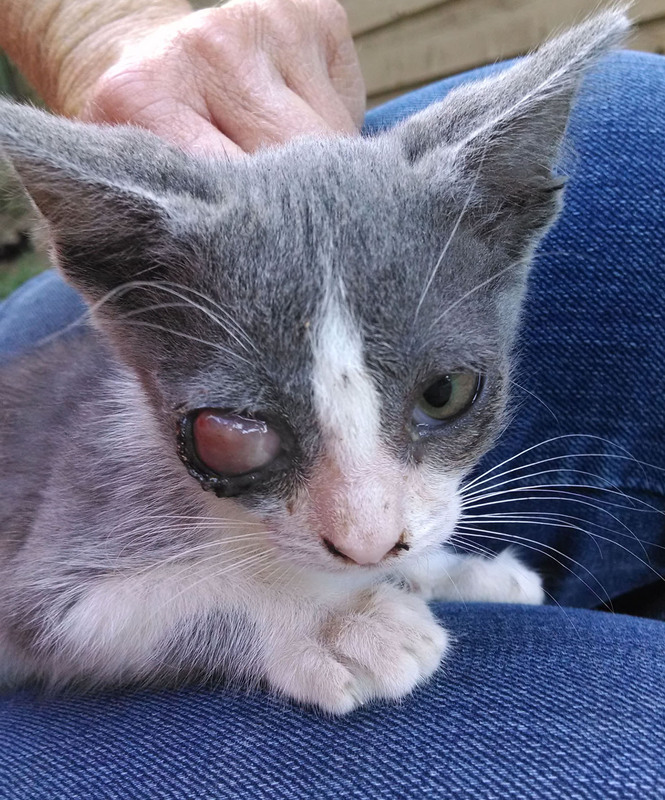 Unfortunately, Twiggy’s eye ruptured and she needed immediate urgent care. 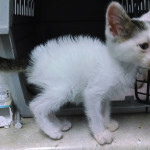 We did our best to help these kittens and their cousins with antibiotics but helping that many requires quite a lot of money. 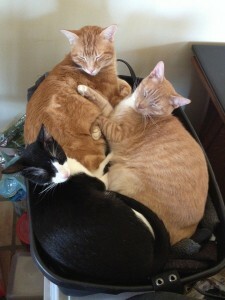 Therefore we had to select the ones requiring the most immediate care. In this case it was Twiggy. 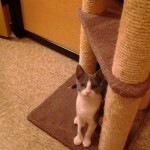 Twiggy went on to recover and she was transferred to our adoption program. Thankfully someone overlooked her physical defect and focused on her sweet personality. 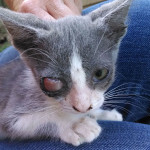 She lost an eye but gained a whole new, wonderful life. Abandoned Kitten Found in a Shoebox! FIVE WEEK OLD KITTEN ABANDONED IN A SHOEBOX! 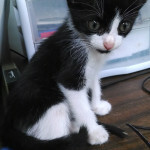 Marcel, was an abandoned kitten placed inside a shoebox. 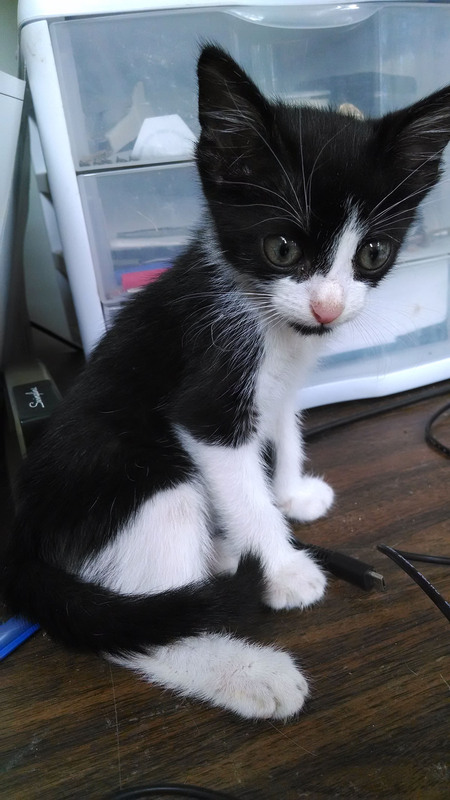 He was only five-weeks old when he came to us. 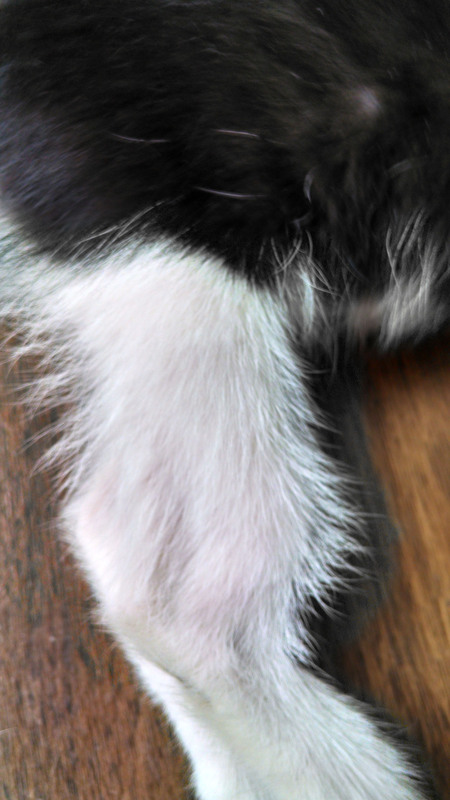 This tiny, sweet boy has a misshapen hind leg. It didn’t appear to bother him since he used it without limping or signs of distress. X-rays revealed a healed-over double fracture. 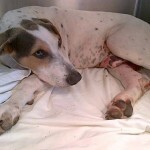 Since he was managing fine on the leg, our vet stated that no further treatment would be necessary. Then something odd happened: Marcel developed mysterious infections in other parts of his body. When treated with antibiotics the infections went away, only to reoccur. 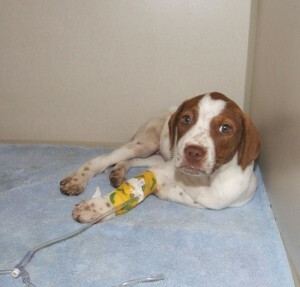 Marcel was admitted into veterinarian care for further observation. Dr. Leakey suspected that perhaps the root cause of these infections is in the healed-over fracture. However amputation is radical and irreversible. 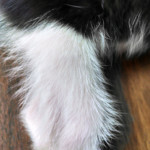 Therefore, before moving forward with surgery Dr. Leakey recommends bringing Marcel to a local feline expert who might shed some light on this mysterious condition. We chose to not amputate Marcel’s leg. However, we never did find out the root cause of his mysterious infections. Marcel went on to enter the Texas Animal Guardians adoption program. He has grown into a handsome kitty and lucky for him a nice lady adopted him along with two other cats that have also have medical needs. Thank you for being an angel Sara! 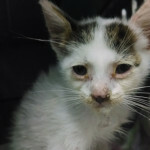 Indy was found sick, weak and starving. He hardly had strength to keep surviving. Severely dehydrated, emaciated, and suffering from multiple skin conditions his fate was hanging in the balance. He weighed only .06 pounds. He was immediately admitted into Canyon City Animal Hospital. 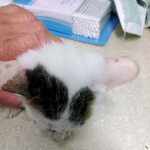 There he was placed on IV fluids, antibiotics and nutritional care. He responded very well to this treatment. Yet, he still had issues. 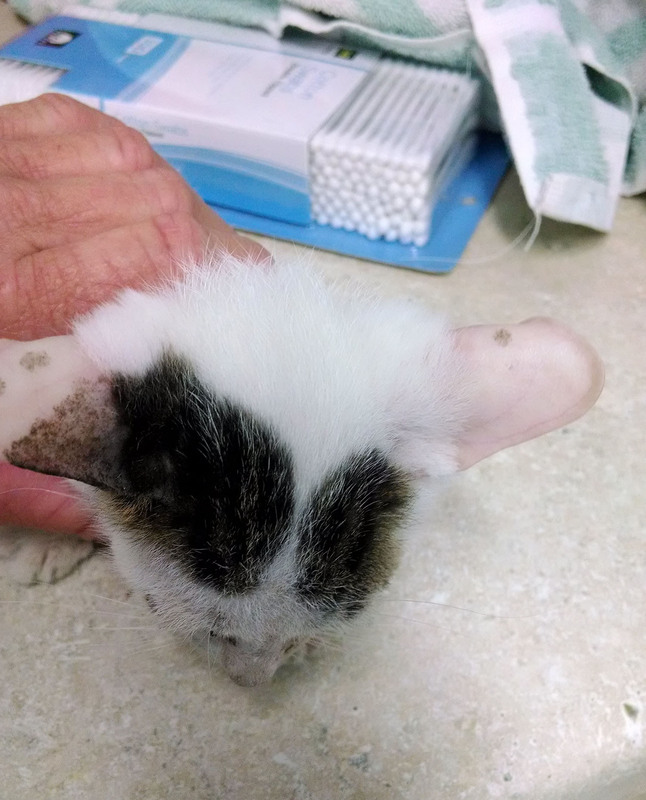 The skin infections and ringworm caused skin loss, particularly around his ears, where it peeled off completely. Thankfully new skin formed. His fur began to thicken up. He gained weight: from .06 lbs to 2.5 lbs. 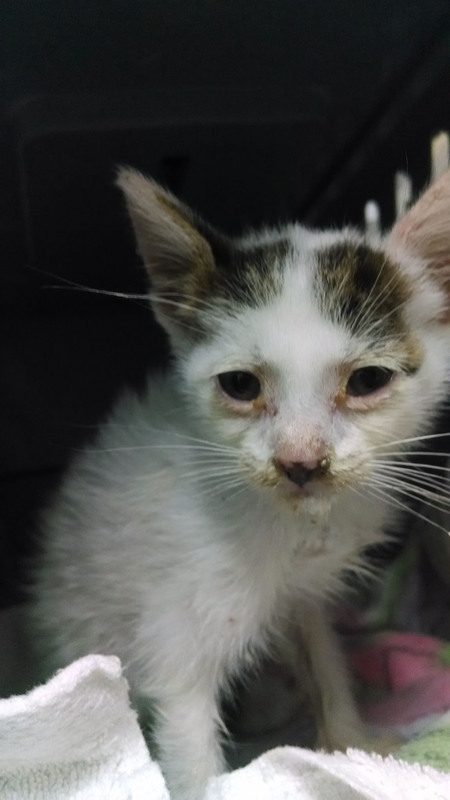 Now, the only thing standing in his way to complete recovery (and his forever home) was a lingering upper respiratory infection. 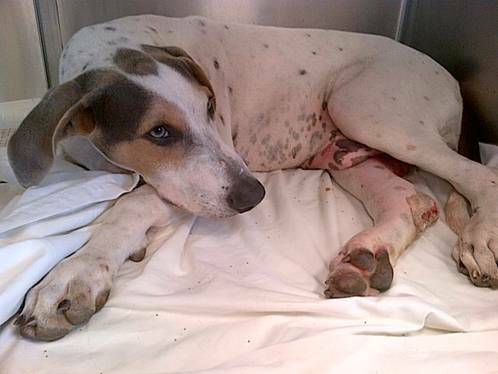 Indy still remained hospitalized at Canyon City Animal Hospital for several weeks. Indy was taken home to be nursed back to health by Texas Animal Guardians Director, Penny Solis. He received continued medication, high-protein, calorie diet and tender loving care. 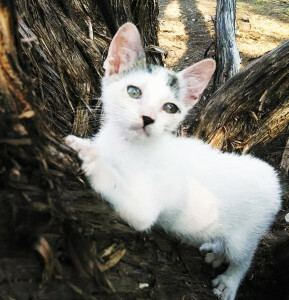 He gained strength, started playing and acting like a kitten and soon he was well enough to be released into the Texas Animal Guardians’ adoption program. 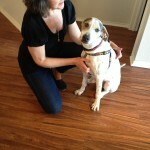 Shortly after Indy was released into our adoption program he found his forever home! Shiloh, a five month old puppy, was destined to become road kill at the hands of her owner. But somewhere, an angel must of have been watching over her. That fateful day when she was being repeatedly kicked by a man on the side of the road, a woman on her way to work noticed. She pulled over, parked her vehicle and implored the man to stop. Of course this only infuriated the sub-human, who could only be described as a heartless lunatic. His reaction? He picked up the helpless pup by its front and back legs, in a hog-tied fashion, and began to swing it back and forth, threatening to toss the whimpering pup into oncoming traffic. At this point, the woman was frantic. She telephoned 911 but they offered her no help. Then in a last ditch effort, she enlisted the aid of a nearby road construction worker. Thankfully, the worker was able to distract the man long enough for the woman to grab the pup and slip it into the backseat of her car. She wasted no time driving away from the scene. 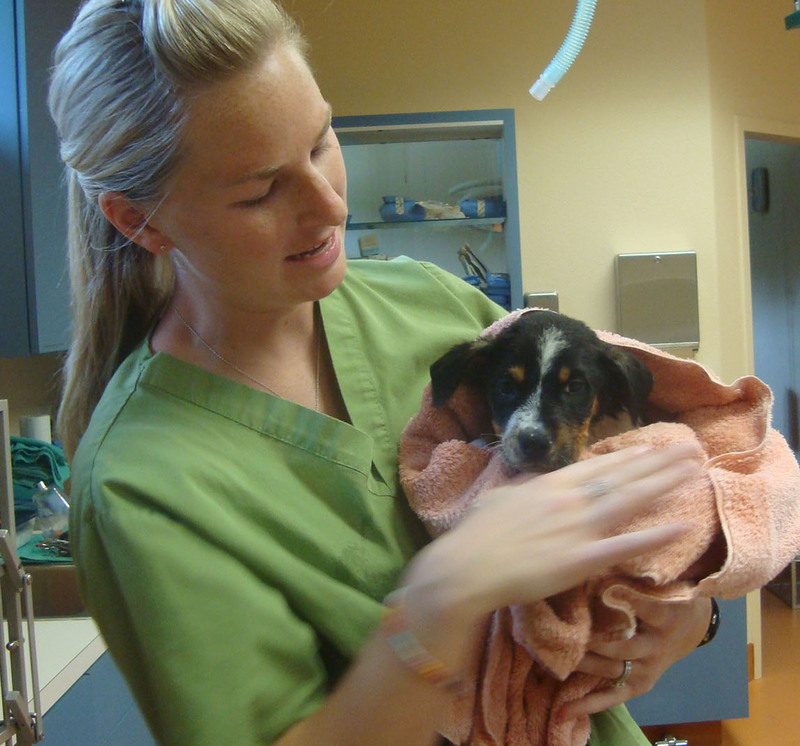 Once she had the dog in her vehicle, she noticed that something was wrong with its front leg. “It’s probably broken,” she thought. 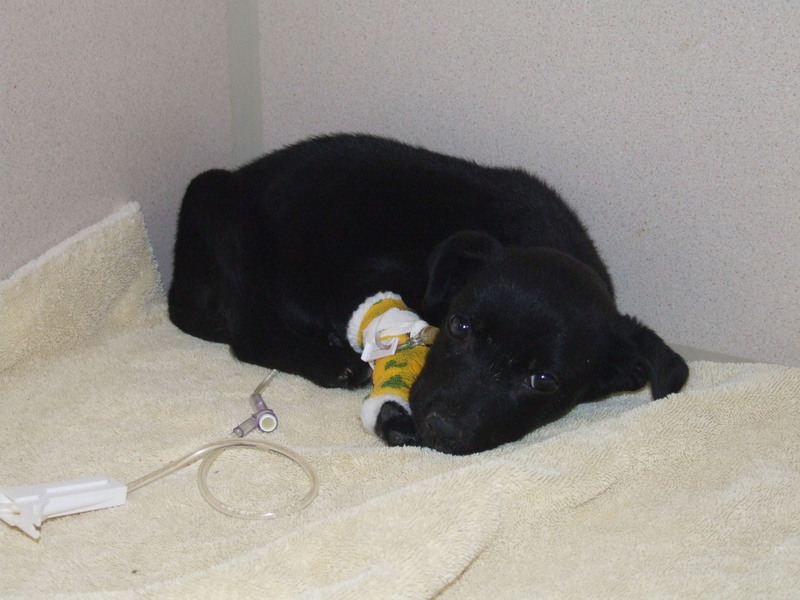 Unable to afford the medical care required to help the dog, she contacted Texas Animal Guardians (TAG). We arranged for Shiloh to be examined by our veterinarian. 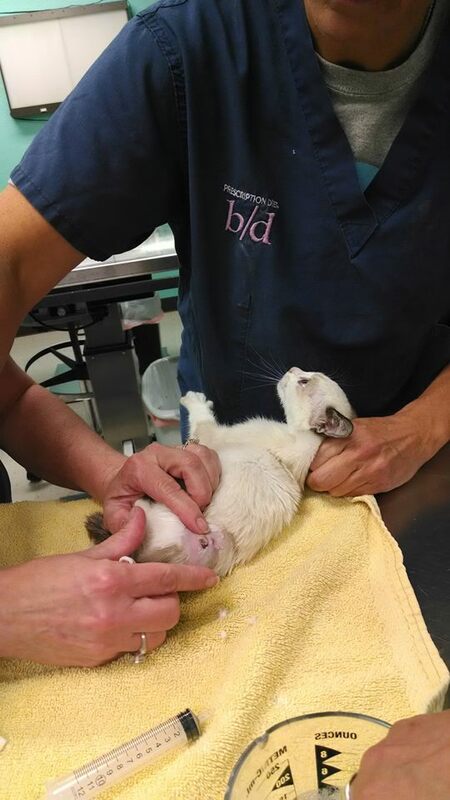 The veterinarian discovered that her front leg had sustained previous injuries which caused a severe infection. There was no sign of bone breakage. Even so, the doctor suspected that Shiloh’s nerves were damaged. 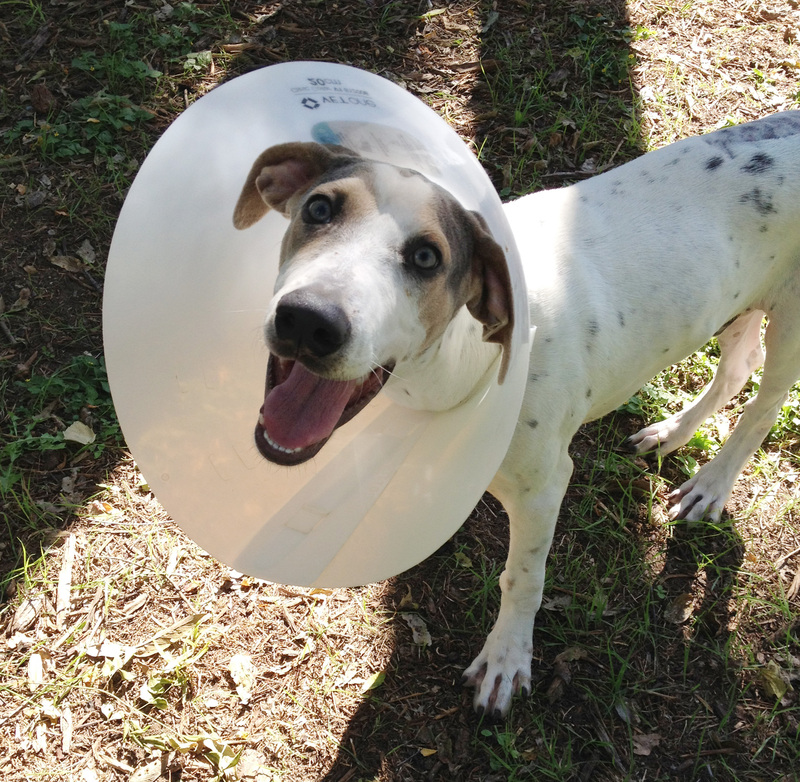 We were all hopeful that once the infection subsided, she would regain the use of her leg. Unfortunately, that was not the case. Due to the neglect and abuse at the hands of her former “owner,” she had to have the limb amputated. 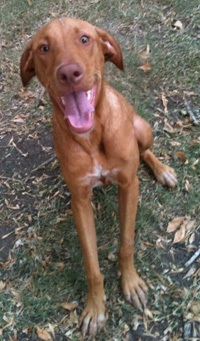 But the story has a happy ending: Shiloh is such a brave and happy girl, that she doesn’t even notice! She runs and plays just like any other four-legged dog. 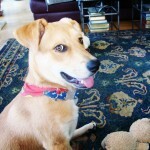 In fact, she smiles, wags her tail, and has a terrific attitude about life. We think she’s one of the greatest dogs we’ve ever met. She certainly is one of the bravest. 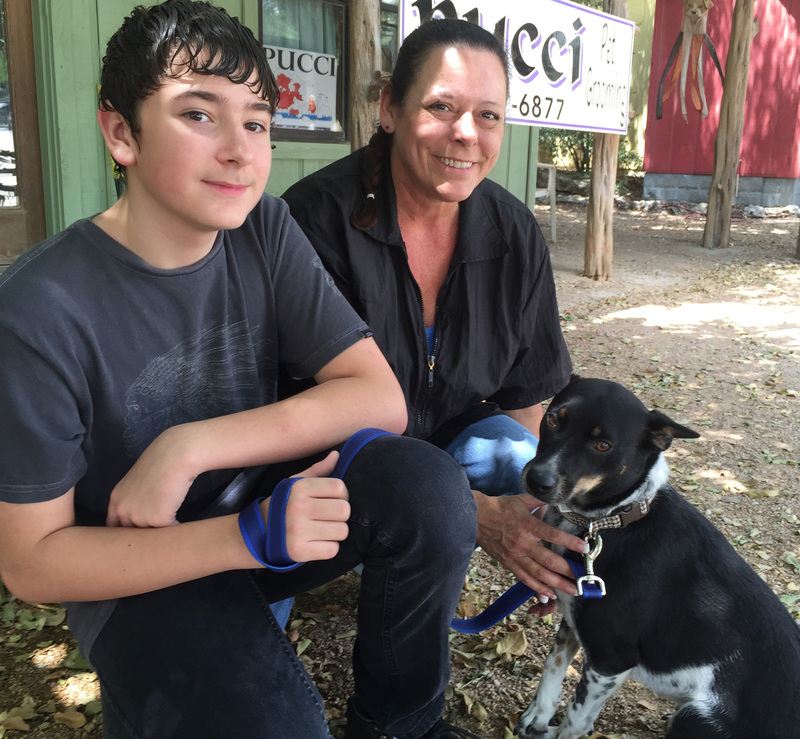 Shiloh is now living a happy “dog’s life” with her new family in New Braunfels, Texas. Let me begin by providing a little background information by saying that my husband and I have 2 dogs, an 8 year old yellow lab named Colby and a 2 year old pit bull terrier named Castro. We also have a 13 year old cat named Lady. 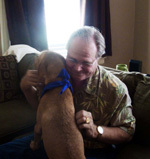 I was at my capacity with animals with just Colby and Lady when Castro came along a few years ago. Thank God for Castro’s sake that he is the sweetest dog I have ever met and he fit into our pack so well that there was no way he was going to the shelter—especially because at the time we were living in Louisiana where there is a kill policy on all pit bulls. So the day I met Little Pup, my husband and Castro were out of town. I have to disclose that moments before seeing Little Pup I was thinking about the burdens of having animals and I swore I would never take in another pet. God works in mysterious ways, because literally minutes later I saw Little Pup—all curled up in someone’s yard looking lost and scared. I began to speak to her very gently and told her it was okay that she could approach. 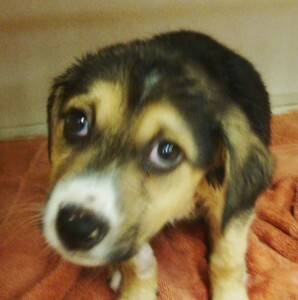 She stood up and I noticed she had sores on her body and was very malnourished. She came forward and I told her it was okay that she could come with us if she wanted. That was all it took. She understood me no doubt because she perked up and had a hop to her step. She was wagging her tail and so excited to be joining us on our walk. At this point I was not sure what the outcome would be, all I knew was that I could not leave her. She followed me all the way home where I gave her food and water and let her play with Colby. I was already running late to work so I went ahead and left with her in the back yard with the gate open so she could come or go. I was still unsure of the situation and did not want to freak her out by locking her in the backyard. On my way to work I was already calling shelters and sending emails for support. During my lunch hour, I returned home and there she was, curled up on my front porch. When she recognized me she became so happy, and honestly, I was happy too that she had not left—because I knew I was going to help her on her journey. That evening I did everything I knew to do to try to find her a home, including searching lost dog websites, making phone calls, taking photos, and sending more emails. I had to leave her outside because I was not sure if she was contagious, the last thing I needed was to be treating all my animals for some sort of illness. 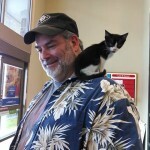 The next day I took her to my vet for a checkup and treatment. I also gave her a bath and started her on antibiotics. She was the most hyper dog I have ever met so I was eagerly awaiting my husband and Castro’s return, for I knew she and Castro would have a ball together! Boy, was I right on the money! They played themselves silly. When I first found Little Pup I was eager to find her a home as soon as possible. But, as time went on, I saw how well she was recovering and enjoying her time with our family. Suddenly, I became more particular about her destiny. For example, I had several people inquire and actually had one lady come to the house to meet her … but I was not willing to let her go. 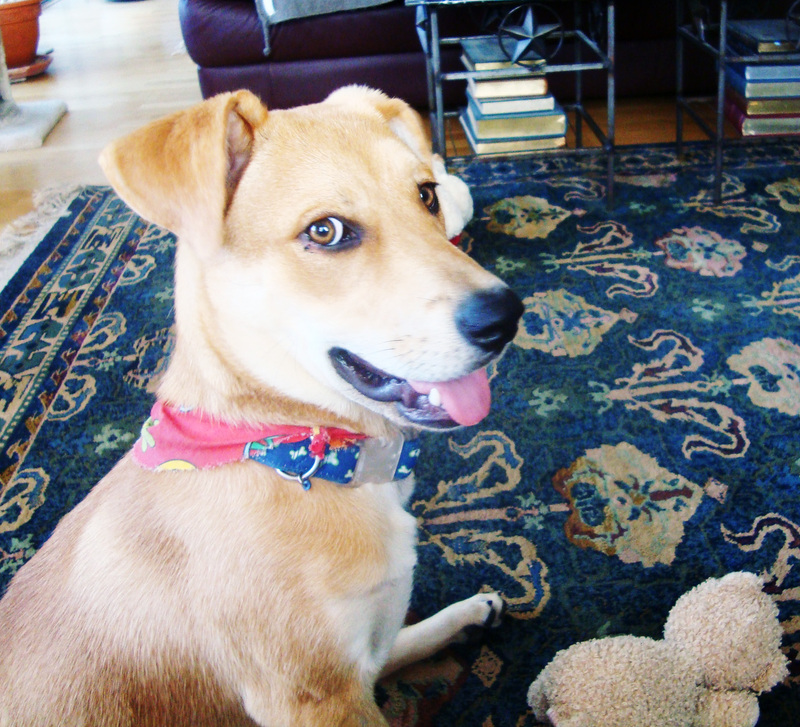 This was somewhat confusing, because I knew I did not want another dog—especially with such high energy. But at the same time, I was not going to give her to just anyone. My main support throughout this time was Gyvel Young with Texas Animal Guardians. She was always so supportive, friendly and considerate of everything we were going through. At one point, my husband and I decided we may want to keep Little Pup. However; in the back of my mind, I knew I could not permanently handle another animal. Even though we were able to incorporate Little Pup into our pack—including learning to respect the 13 year old cat—my work schedule and current life situation didn’t mesh with the idea. During this time, I prayed a lot and knew that the story would end up just how it needed to end up. 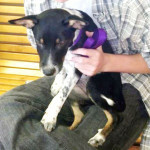 One day, I received a call from Gyvel who told me about a family that wanted to adopt Little Pup. This time, I knew it was my duty to let her go and continue on her journey. 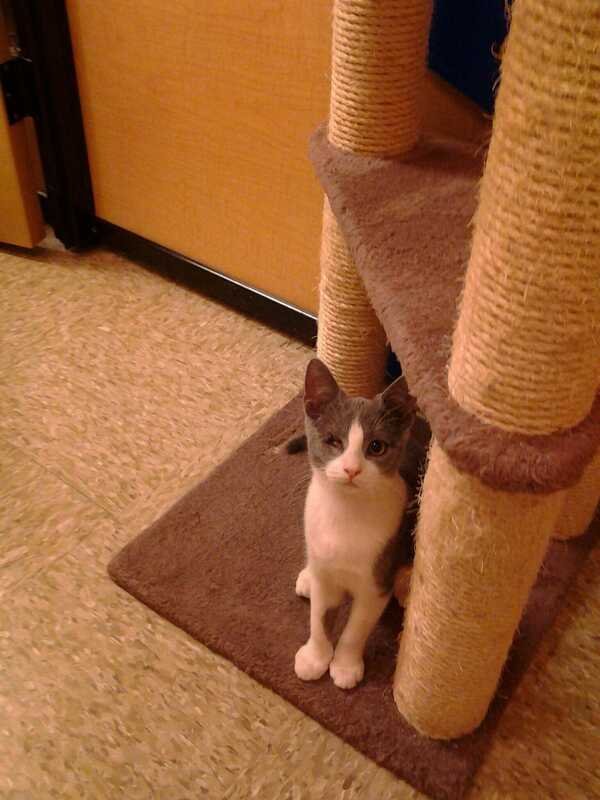 Her new home would be able to meet all her needs … and they even had a playmate waiting for her. 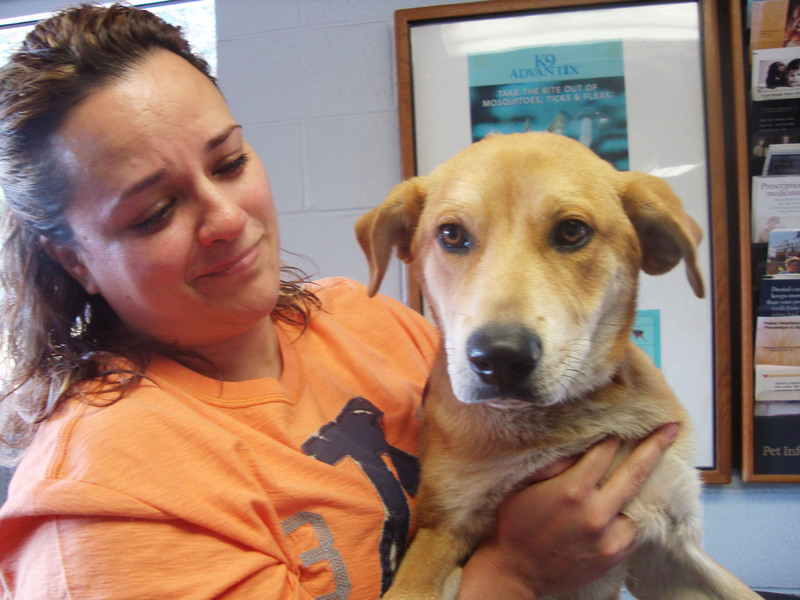 Editor’s Note: Ana has since accepted a volunteer position on the Texas Animal Guardians’ Advisory Board. She serves in this capacity as a volunteer legal counsel. We are grateful to know her and appreciate her help with legal advice.